The best, most affordable short term missionary insurance plan is also one of the most popular worldwide short term missionary insurance by missionaries serving overseas for under two years. 2. Non-U.S. missionaries traveling to the USA, or anywhere else in the world (including the U.S. and Canada), except their country of citizenship (option 2 below). Short term missionary insurance for U.S. missionaries serving outside of the U.S. and Canada. 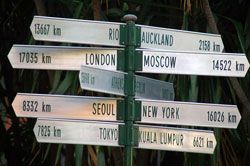 Short term missionary insurance for Non-U.S. missionaries traveling throughout the world including travel to the U.S. and Canada, except within their country of citizenship. Optional Enhanced AD & D (accidental death and dismemberment, which is like life insurance), available for those traveling 3 months or more. Working with church-planting, orphanages, disaster relief, and more! When looking for excellent missionary travel insurance (travel medical insurance) with worldwide coverage, we consider benefits, cost, and the carrier’s reputation. There are many excellent international travel health insurance plans but many will either have extensive benefits (and charge you for them) or will aim for affordability by cutting the benefits or limiting them. IMG Outreach International and IMG Outreach America combine the best missionary travel benefits with an affordable price that fits the majority of missionaries going overseas to volunteer, study language, or go on a mission trip for up to two years. It is also renewable if you decide to stay! For most missionaries in reasonably good health, Outreach International is going to be a good choice for your missionary health insurance needs. It’s also one of the top plans we normally recommend for missionaries going overseas. Especially for those who must raise their own support! Outreach America is the same plan for non-U.S. missionaries coming to the USA and wanting good medical insurance during their stay. The emergency evacuation max is always $500,000 which is separate from, and in addition to, your choice of maximum medical coverage. This should be more than enough, and is generous for emergency medical transportation. IMG has a great reputation, serving hundreds of thousands of missionaries, offering translation services and many other non-medical travel benefits. They designed their plans specifically with missionaries in mind and are sensitive to their unique needs. They also discount the cost of these plans (for charitable work). If you are going to be staying overseas for more than a month or two, you may also want to consider the Accidental Death and Dismemberment rider. Most life insurance plans will not cover you if you are staying overseas over a certain number of days. Please check with your life insurance company and then decide if this rider makes sense for you and your family. Another thing to consider is Outreach International allows you to extend your coverage if you decide to stay overseas for a longer period. This is a nice feature and is not allowed by all missionary travel insurance plans. It is an option for volunteers overseas, missionary teachers, those working with other non-profits overseas and in relief work / disaster relief, as well as regular missionaries and short-term missionaries and those with missionary organizations / sending agencies. Good Neighbor has had a close relationship with IMG over the last two decades. We have been awarded many top awards by IMG over the years and our staff have attended IMG University which aims at making sure clients have the products and services they need to stay safe. They also learn about IMG’s 24/7 evacuation and emergency services that features doctors and medical personnel on site.